French Toast made easy! 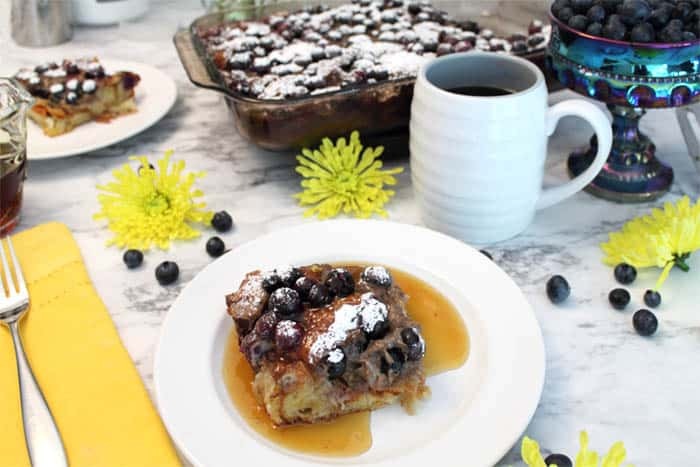 Our delicious Blueberry French Toast Bake is perfect for a special occasion or company. 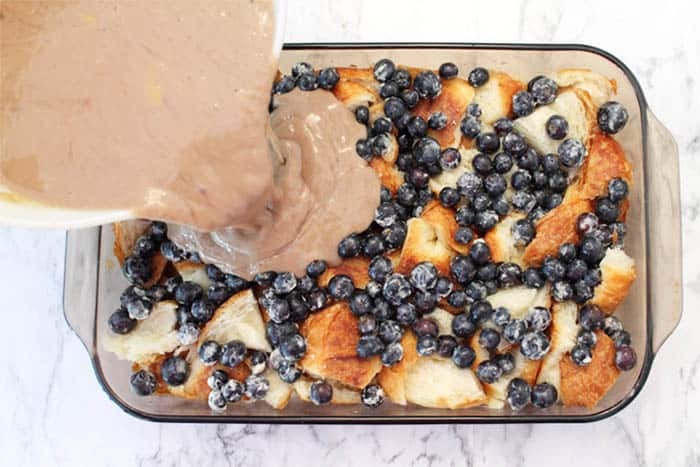 Just layer buttery croissants, blueberries and a maple-flavored egg mixture into a baking dish, chill one hour or overnight, then bake. 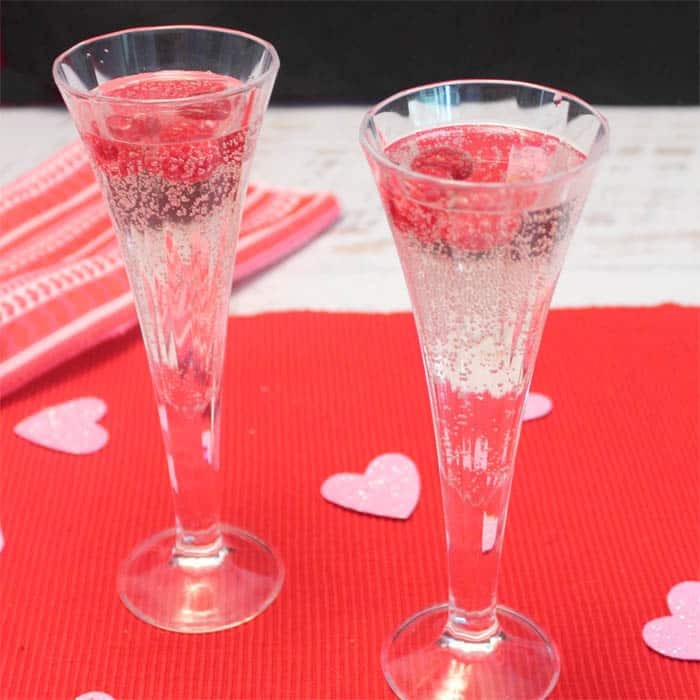 Serve sprinkled with confectioner’s sugar for a sweet breakfast treat. Dairy-free option available. 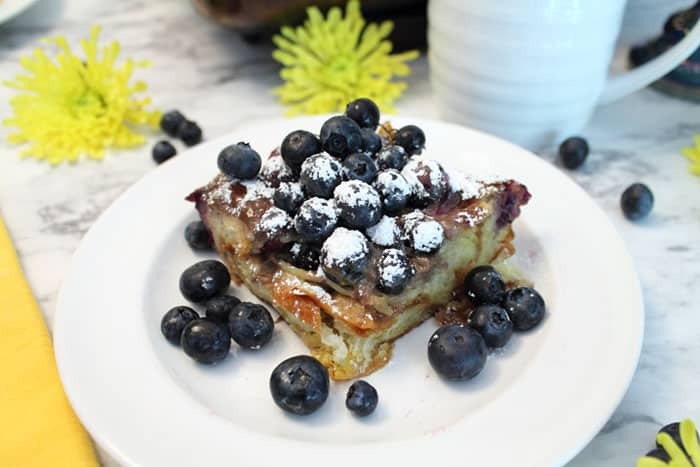 As promised, here is the recipe for the Blueberry French Toast that my husband made me for Mother’s Day. I always appreciate when my hubby takes the time to look up a recipe that he thinks I will like, French Toast being one of my favorites, and takes the time to get the ingredients to make it just for me. This one was one delicious breakfast bake and, since I watched him make it, as easy as 1-2-3. We did make a few changes from the original recipe that he found on BuzzFeed by using fewer eggs and adding vanilla extract, cinnamon and, of course, some Grand Marnier. Another of my favorite things! He was also a sweetheart and made it dairy-free for me too. See why I love him so much! So how easy was this? As easy as 1-2-3. Step 1, cut or break apart the croissants. Lay in the dish (and don’t forget to spray some non-stick spray on it for easy cleanup). Step 2, sprinkle on the blueberries that have been tossed with flour and powdered sugar. Step 3, stir together eggs, yogurt, maple syrup, vanilla, cinnamon and Grand Marnier and pour on top of croissants. Cover with plastic wrap and refrigerate overnight. See – simple! Come morning, when you’re ready to bake it, preheat the oven, remove plastic wrap and bake. When it starts to cook you can smell the aroma of blueberries and cinnamon Is your mouth watering yet? 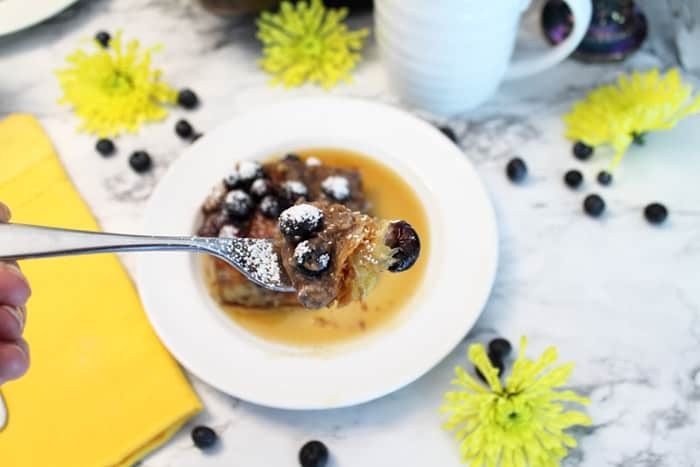 Serve it with extra blueberries, a light sprinkle of confectioner’s sugar and a side of maple syrup. Yum! Now comes the easy part. Grab a fork and dig in. Doesn’t that bite just make you want to jump up and go whip it up now? 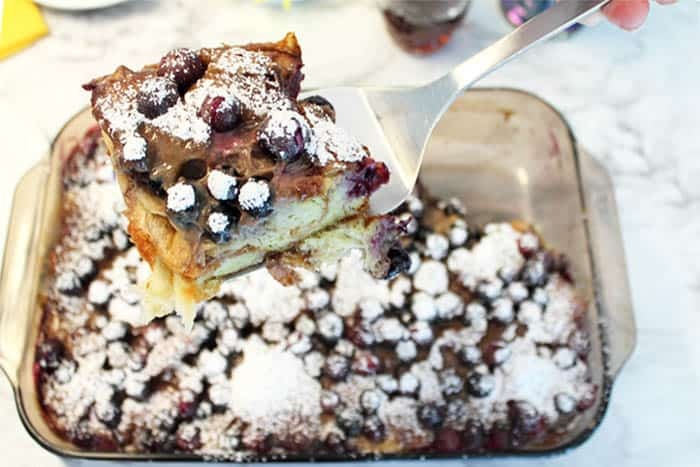 Believe me, it has all the flavors you love about French Toast, the slightly toasted exterior and a sweet and moist blueberry and maple-flavored inside. In fact, it’s so good you won’t want to put your fork down! 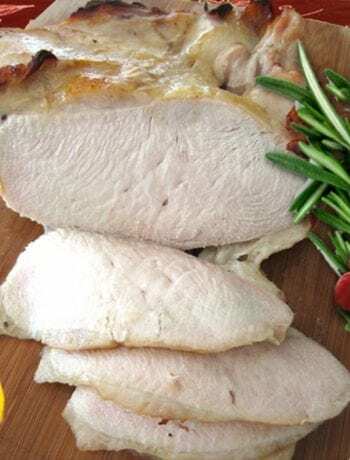 And it’s not only great for special occasion breakfasts or brunches like Mother’s Day but feeds a crowd super easy too. When we join our kids and grandkids for the family vacation, I like to bring it along in a cooler. Makes the first morning of vacation relaxing and delicious. Of course, being a Grandma, I have to spoil the grandkids too, so I pack along some Dark Chocolate Doughnuts and Easy Chocolate Cookies with M&Ms too. Hope you enjoy! 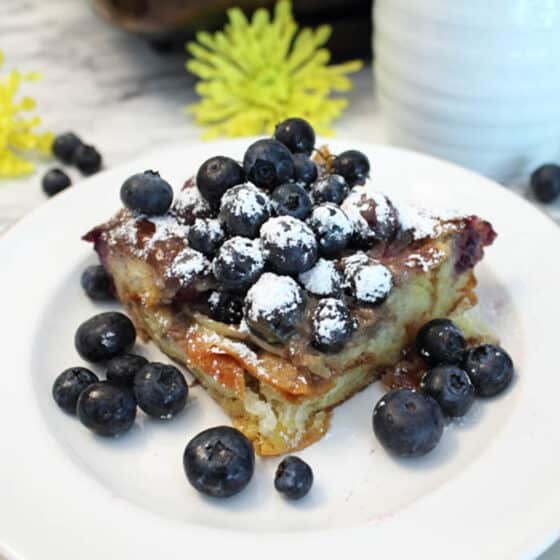 Our Blueberry French Toast Bake makes breakfast as easy as 1-2-3. 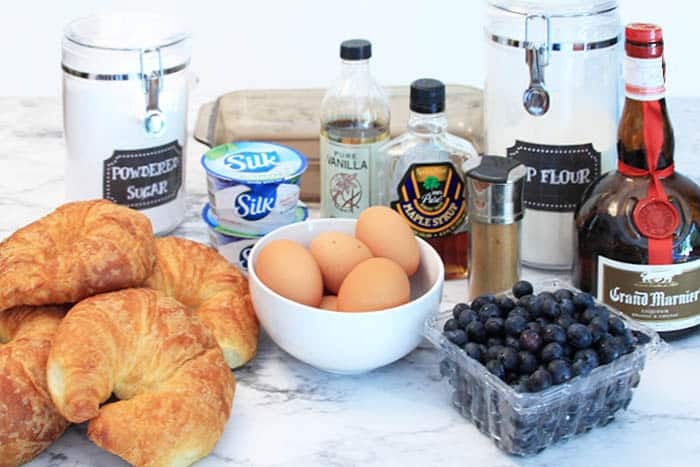 Layer croissants, blueberries, yogurt & eggs in dish, chill & bake. A sweet morning treat! Lightly spray a 9x13-inch baking dish with nonstick spray. Cut croissants in half then cut each half in fourths. 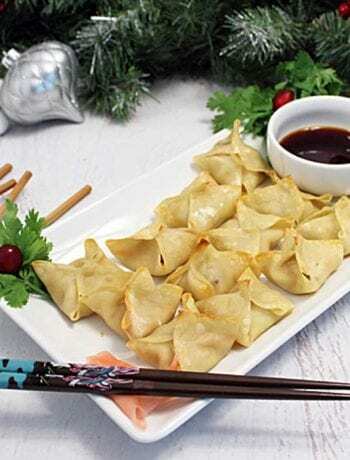 Place in prepared dish in single layer, scrunching to fit. In a medium bowl, coat blueberries with combination of flour and confectioners sugar. This helps keep more of the juices inside the berries. Sprinkle the blueberries on top of the cut croissants. In a large bowl, mix yogurt, maple syrup, vanilla, cinnamon and Grand Marnier, if using. Stir well. Pour over croissant-blueberry mixture then press croissants down into liquid. Cover with plastic wrap and place in refrigerator for at least 1 hour or for overnight. When ready to bake, preheat oven to 350 degrees. Remove French Toast Bake from refrigerator while oven is heating up. Serve with maple syrup and extra blueberries. Total cooking time does not include chilling time.